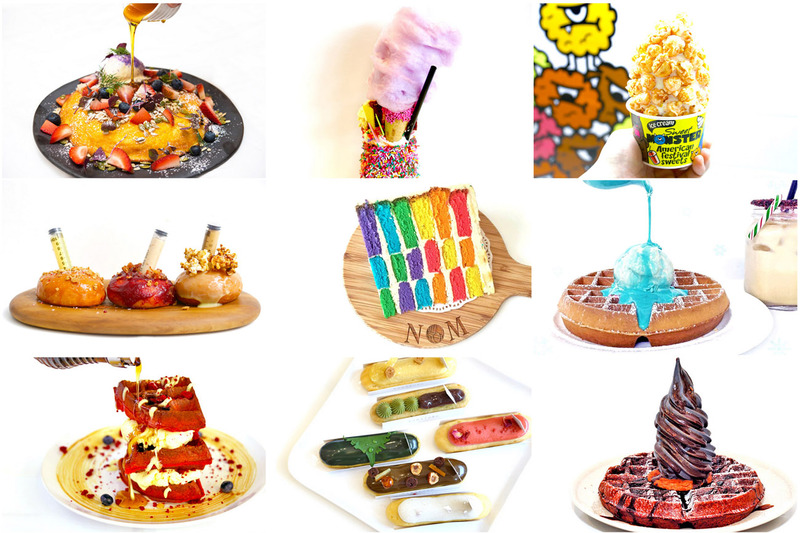 The year of Instagrammable desserts. That means over the top presentation, pretty elements, inclusion of candy flosses and syringes, some desserts in previously imaginable colours, for example bright blue. 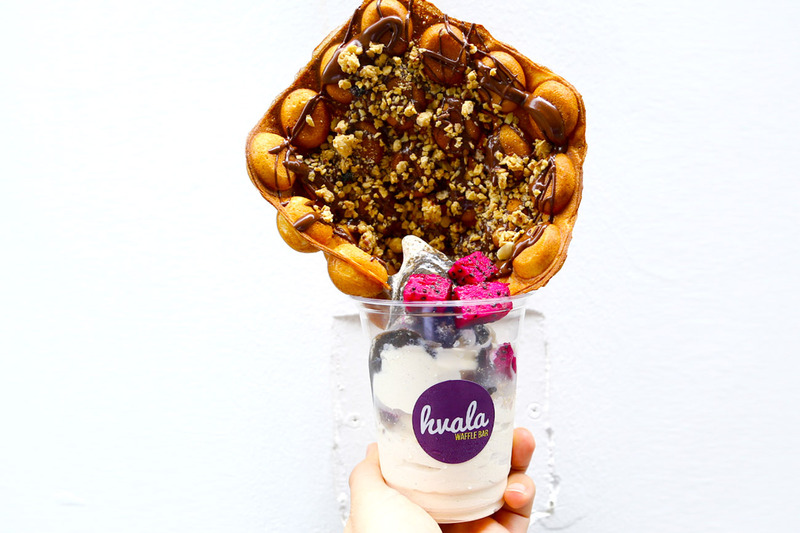 Instagram has also got more (or perhaps less) exciting with flatlay food shots, pouring syrups, manicured hands holding anything and everything (typically soft-serves), and moody cafe shots. On a side note, if you haven’t visited @DanielFoodDiary’s Instagram… LOL, do show some love. It’s 99% videos. More effort, usually videos get less LIKES too. But I want to present a different side of what is already in the blog, and I happen to be very persistent about it. If you see any food you want to recommend (doesn’t have to be instagram-worthy), you can hashtag #DanielFoodDiary too! 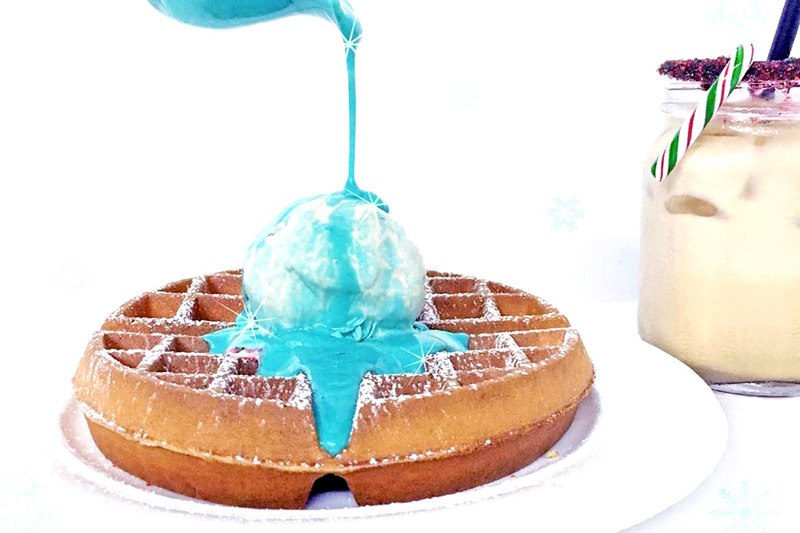 The Blue Velvet Waffles is a show-stopper. Yes, Blue, with Cookie Butter Speculoos ice cream and blue velvet white cocoa sauce. The colour and dessert that “Sadness” from Inside Out will find some joy in. Epic-looking milkshakes piled with ingredients of all kinds, WERE the trendy food on social media, till it all got jelak. 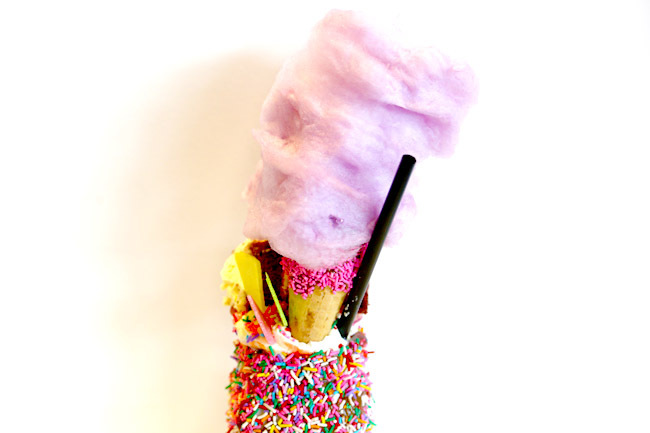 The Unicorn Cake Shake topped with cotton candy looked like Marge Simpson had a dramatic hair job. 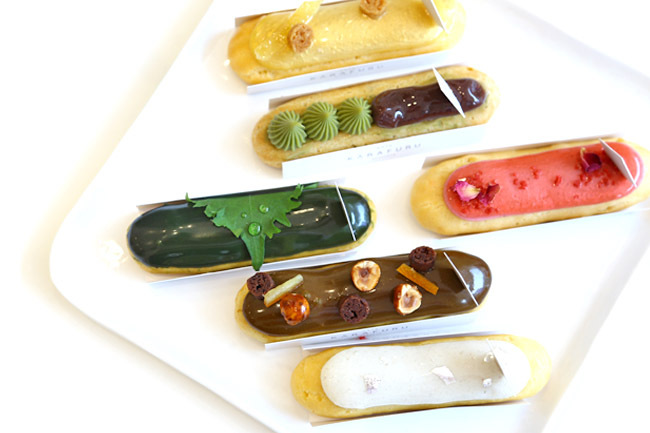 Karafuru’s éclairs are re-imagined by traditional Japanese flavours. Thus compared to French éclairs which we are more familiar with, these are light in taste and smaller than their counterpart. The prettiest of them all is the Sakura Rose with hints of floral notes. 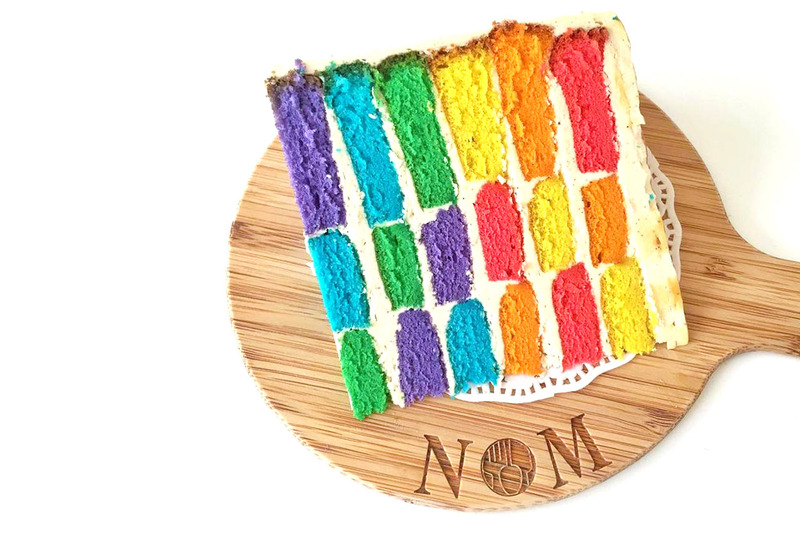 NOM’s rainbow cake is one of the prettiest and most photogenic around. The sponge is moist and soft, probably better than half of the rainbow cakes out there. Slightly too sweet for me though. Checkered version available on occasional basis. 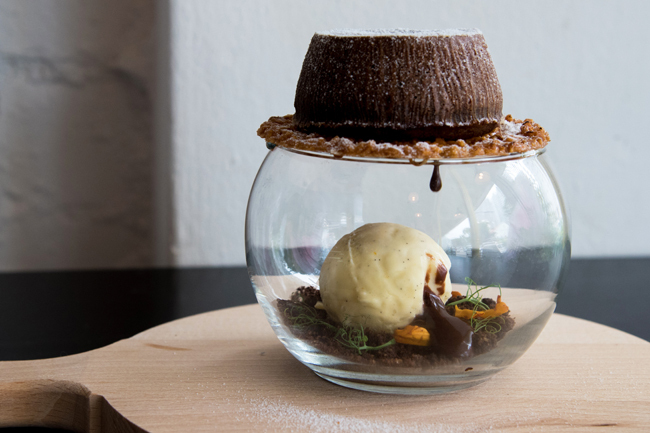 Made up of 70% Valrhona chocolate lava, chocolate soil, almond nougatine and orange infused vanilla ice cream, the way to eat it was to stab the chocolate lava cake and almond nougatine with a knife to create the ‘avalanche’. 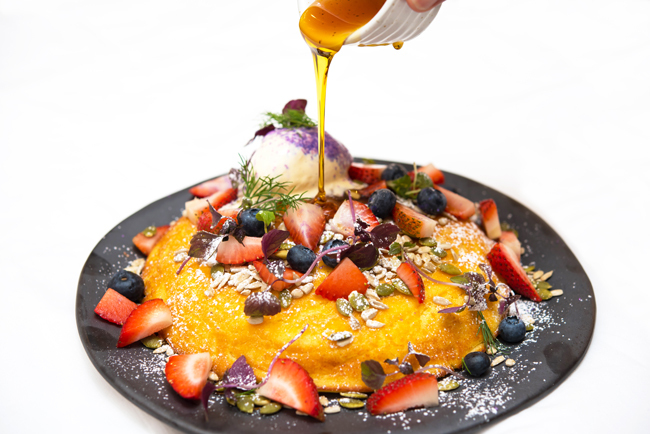 Huge, round, fluffy hotcake with a splash of berries, blueberry sugar, edible flower petals, mascarpone, maple syrup. Sama Sama. 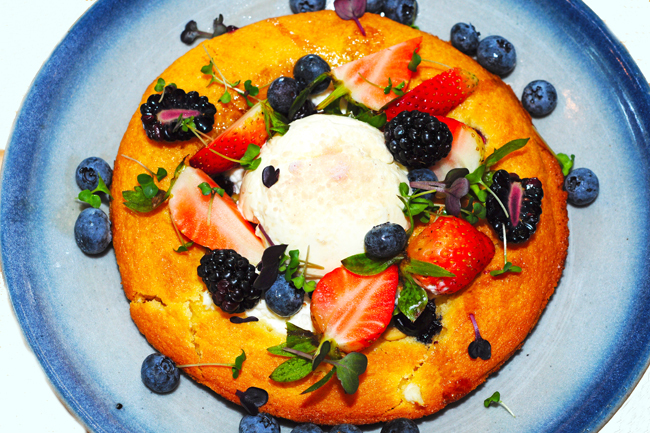 The Berry Ricotta Hotcake looked like a huge potted plant with strawberries, blueberries, pumpkin seeds, sunflower seeds and a scoop of vanilla bean ice cream. If you have not been to the revamped Montana Singapore, you must. The expanded Montana introduces some new waffle creations that contain bold, creative, unexpected flavours. 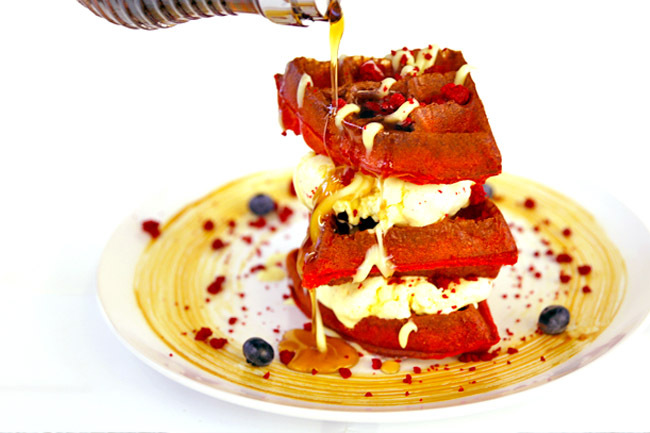 One of the all-time favourite is still Red Velvet Stacked Waffles, with choices of crispy or fluffy soufflé-inspired base. 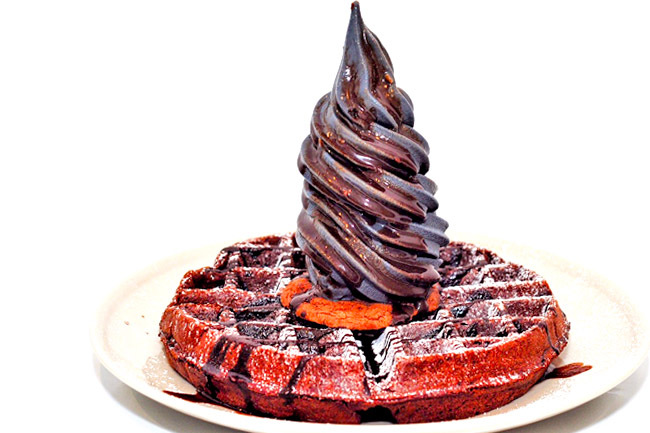 The Cold Pantry had pushed their limits with a totally instagrammable and awesomely sounding (with a touch of nostalgia) Chocolatey Waffle with a hint of Root Beer topped with freshly churned charcoal vanilla ice cream drizzled with… chocolate Root Beer sauce ($12.50). 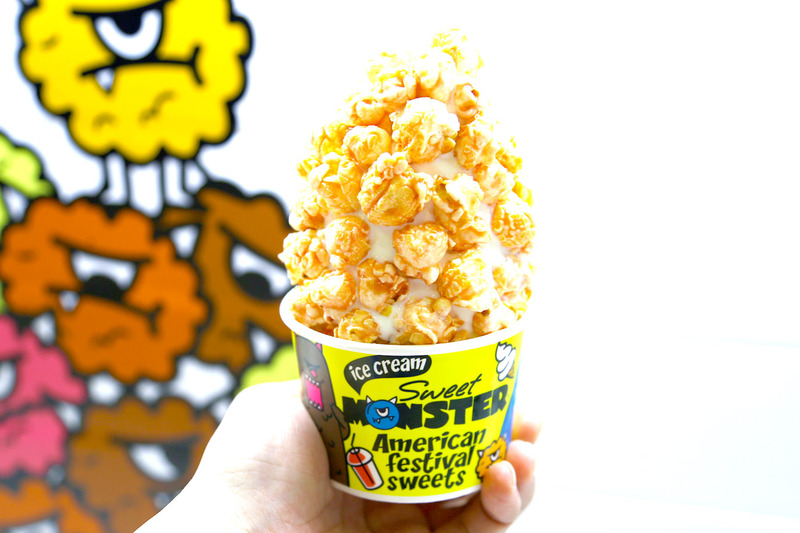 Softserve covered with popcorn. Sweet vs savory. Hot vs cold. Smooth vs crunchy. Using at least 75% organic milk in the icecream, it was thick, rich, distinctively milky and slightly on the sweeter side. Popcorn slightly lao hong though. (Not as crisp). 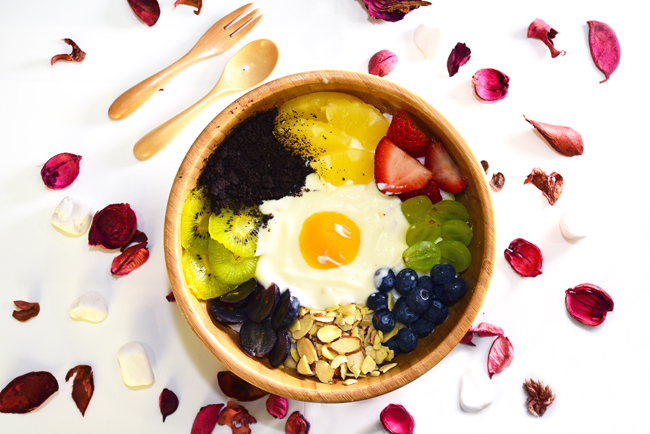 The Puffle ($7.90), which is a cup of vanilla bean soft serve topped with EGGLETs, and other toppings such as fruits, museli and sauces. People in the know that this is a copy of Hong Kong’s popular Oddies Foodies, with gai dan jaai stuck in softserve, presented in an over-the-top fashion. 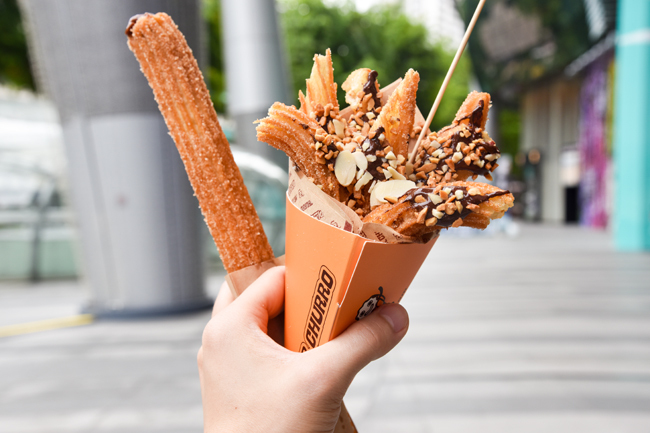 The churros come in many different shapes, some in over-the-top fashion – curved, lengthy, or a few sticking out of a softserve cup. As if just one is not enough. An upsize down ice cream on a plate. This plated desserts were named after their staff, Debbie, who ALWAYS drop the food that’s she’s serving. 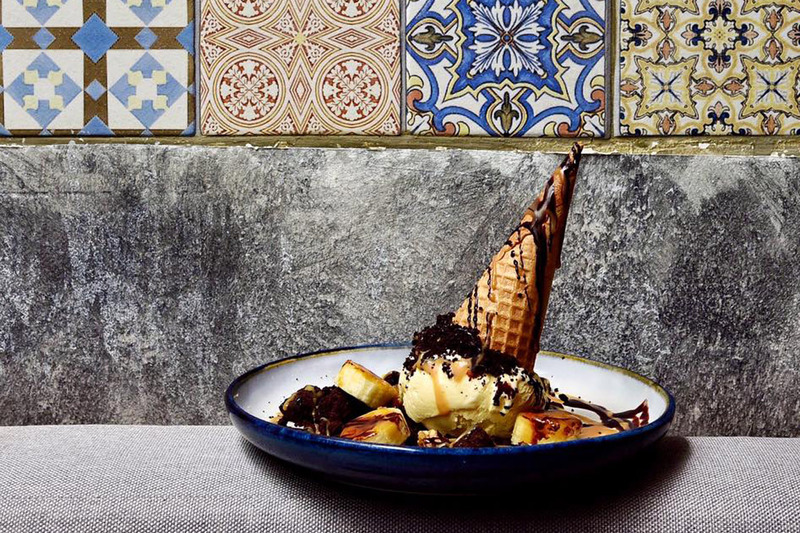 What you get are peanut caramel ice cream, black cookie, brownie bits, peanut brittles and to finish it off, caramel-sautéed banana. Akang Datang. Coming soon. A different spin on doughnuts. This is up-level. 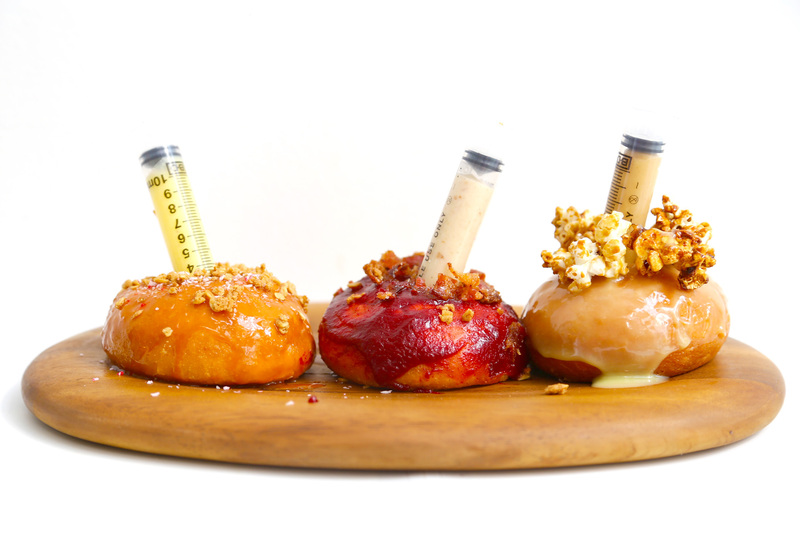 Ginger gula mela glaze with pineapple curd and coconut flakes, Smoked berry glaze with apple pie cream cheese and granola, and Mango white chocolate glaze with peanut butter ganache and butter beer popcorn. * Photos partly provided by Nicholas Tan @stormscape Thank you for your invaluable help!